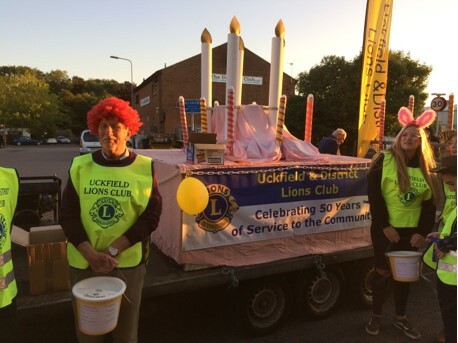 Uckfield Lions assist with funding for specialised cancer treatment. During December Uckfield Lions raised over £8000 for good causes & local charities with their Santa Sleigh & Supermarket Raffle. Uckfield Lions would like to thank the residents of Uckfield & surrounding villages for their fantastic support & also Uckfield Waitrose for allowing us to sell raffle tickets in the store & providing some of the raffle prizes. 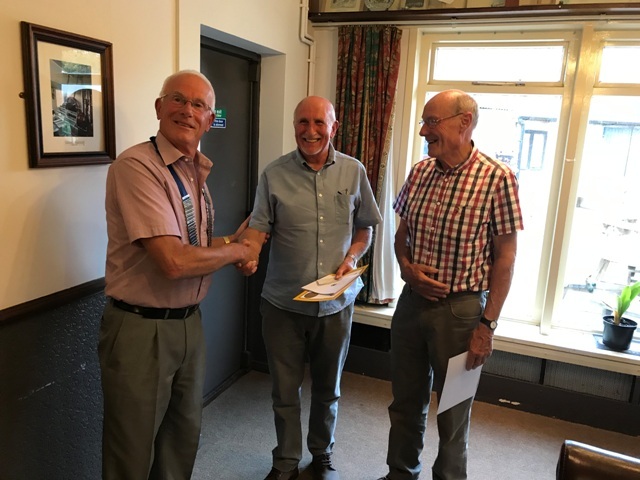 There may have been a football match taking place on Wednesday evening but Uckfield Lions’ dedication to service meant that their Business meeting went ahead as planned & a new member, Trevor Ham, was inducted into the Club. Sponsored by Chris Macve, Trevor was welcomed into the Club by President David Skinner & handed his certificate & badge. Trevor had been helping in the bookshop for some weeks & also helped at Lions Day, Festival Day & the Lions 10k Run. Trevor thanked David for welcoming him into the Club & was looking forward to being fully part of Uckfield Lions. This year the event was very fortunate in being able to use Bridge Cottage, Uckfield which was provided free of charge by the Uckfield Preservation Society. The checks were performed on Glucomen GM equipment which tests one drop of blood and records glucose content in millimolecules per litre- mmol/l. Results will be affected by the fasting state of the patient but generally would be expected to be in the range 3.7-7.0mmol/l. As a further service everyone was offered the Diabetes UK Risk Assessment which requires body measurement to be done in the patient’s home. This assessment indicates the probability of the patient developing Diabetes in future years and indicates appropriate action to be taken by the patient for each recorded score. Uckfield Lions sponsor books into schools teaching about Ocean Plastics. Uckfield Lions thank the people of Uckfield for their amazing support with the Easter Egg Eggstravaganza. 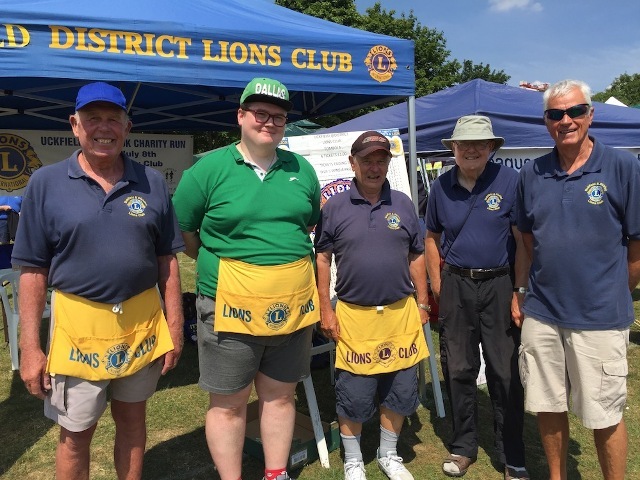 In response to the publics' response to money being stolen from Bishop's Butchers, Uckfield Lions have set up a fund-raising page in a bid to replace the money. The money was donated as part of the Lions Club’s Easter egg basket raffle. All the money raised would have gone to Kent Sussex and Surrey Air Ambulance.